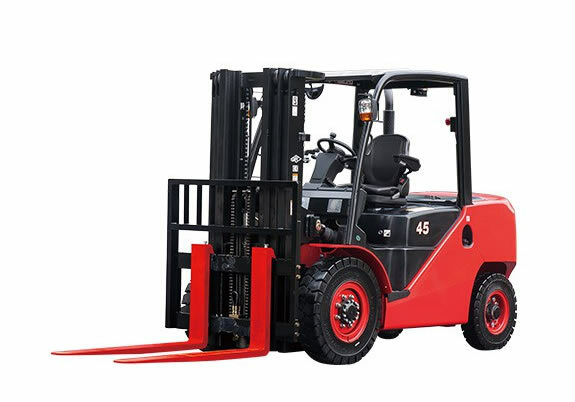 The XF series 4 – 5.5t Diesel/LPG IC Counterbalance forklift brings together the experience of over 30 years building forklifts and the latest forklift technologies. Combining a dynamic load sensing hydraulic steering system, efficient lighting system and lower fuel consumption, altogether contribute towards higher productivity. The XF Series employs a specially developed engine for the optimum balance of power and superior environmental performance. cleaner engines help to reduce the output of undesirable substances and comply with the current EU tier 3B emissions regulations. Comfort and ease of operation were at the forefront when developing the new XF series. An improved shock absorber, compound engine damper and full floating power train are included for a more relaxed driving experience.